Enterprise product manager Nikita Dyer explains what makes Trello’s product design a success, from prototyping to user experience. When a software is hailed as everything from “one app to do everything” to “the future of work“, you know that software is pushing boundaries. In its quest to revolutionize project organization and collaboration, Trello is popping up everywhere, from small start-ups to Fortune 500 companies like PayPal. Trello’s beauty lies in its apparent simplicity: in is most basic incarnation, the app organizes projects into card-based lists: create a card, share it with your team, add photos, videos or feedback to track progress and watch your projects come to fruition. Millions of daily users now visualize their projects on multiple devices, and the software has built a reputation for great UX and a streamlined UI that “has more going on under the hood” than you might initially think. In 2015 the company launched Trello Enterprise to meet the needs of big companies and their employees. 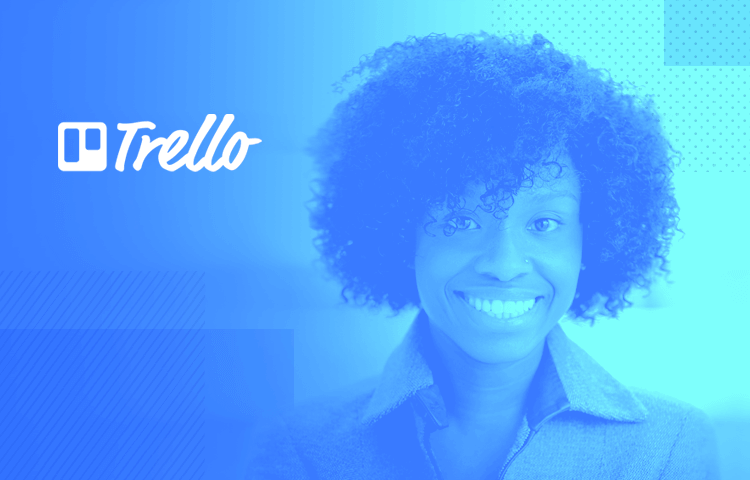 Justinmind was keen to find out how the Trello product team are adapting to the demands of the enterprise market, so we were excited to get the chance to interview Nikita Dyer, Trello’s Enterprise Product Manager. Nikita earned her product manager stripes in Education First in both Shanghai and London before moving on to Trello. We caught up with her over email to discuss tweaking Trello for the enterprise market, prototyping for different audiences, and why it’s important to get comfortable with being uncomfortable. What does an average day look like for you and the Product Team? Our days vary depending on where we are in a project’s lifecycle, but we look at our Trello boards each day in order to follow what’s happening across our Product teams. Our teams have daily syncs where we share what’s in progress, customer feedback, new things we’ve learned, and identify if there are any roadblocks. We’re a pretty distributed team with members in the UK, Peru, and multiple cities across the US, so being able to communicate easily is an important part of our day. The Trello interface is deceptively simple… what kind of design and development process do you guys use to reach that level of intuitiveness? Initial simplicity in the product experience and an easy to grasp, visual and tactile UI have been part of our design process from the very beginning. For a long time we used the phrase “simple on the surface with more under the hood” to capture the progressive way that Trello’s utility reveals itself as a user’s engagement deepens. In every product team, we try to always do what’s best for the end user. We hear a lot about the consumerization of enterprise software: where does Trello fit into that trend? Trello allows users to organize information in a visual way and that flexibility means it’s used at work as well as for personal projects. In fact, 50% of users use Trello for work, 40% for both, and 10% for personal only. While Trello is focused on building a tool for business users, we‘re thrilled when people find new and exciting ways to use Trello. Validate enterprise prototypes fast. Download Justinmind. Trello is now working with larger companies – how are you tweaking the design to deal with more complex enterprise issues, like tighter security and more stringent government regulations? We launched Trello Enterprise in July 2015 to address the needs of Trello’s larger customers such as Conde Nast, UC Davis, and EA. Enterprise includes features such as single sign-on (SSO), two factor authentication (2FA), and priority support. Most of our Enterprise customers have hundreds if not thousands of users in the company using Trello before an Enterprise contract is even signed, so it’s important to make sure that we aren’t tweaking the design in a way that might diminish the end user experience. What are the challenges to building a product that can be used to organize anything and everything? Is software aimed at everyone doomed to please no one in the end? Our goal isn’t to be able to do everything within Trello, but to connect the dots between the tools you use at work everyday. It’s about creating one place to see all relevant information to your job, allowing users to collaborate within their own teams or across the organization. We believe that Trello is a tool that can be used for both personal and professional endeavors, so we’re always mindful of how users can use it in a multifaceted way. What’s the role of prototyping in Enterprise Product Management? And what do you as a Product Manager look for in a prototyping tool? For us the difference in prototyping is really a matter of audience. With an Enterprise product it’s sometimes easier to prototype and receive feedback quickly because of our ongoing relationship with our Enterprise customers. This can happen at any time, but our quarterly check-ins with customers gives us an opportunity to share either prototypes or works in progress. Get comfortable with uncertainty. So much of what we do is about making the best decisions we can based on limited information, competing priorities, and limited resources. Even in an environment where we have access to better data, there are always unknowns. So, the sooner we get comfortable with uncertainty, the more equipped we’ll be to process information and make better decisions.